The City of Racine in cooperation with, Racine Sheriff Department would like to introduce the CodeRED® emergency notification system. An free ultra-high-speed communication service. Delivers customized prerecorded messages directly to homes and businesses, or to persons traveling through the county via the free mobile app. And will only be used for significant incidents and events where the timely notification of an affected population or geographic area is essential or to provide useful information about city services about to be effected for things such as garbage pickup, water main service, parade routes or special parking restrictions. What should I do if I receive a CodeRED® message? CodeRED® delivers the important message through a high-speed telephone calling system to a phone number on the CodeRED® database. City staff will access CodeRED® via a secure portal on the web. A "call area" will be marked identifying street addresses. Telephone numbers will be matched up electronically to these addresses and a pre-recorded message will be sent out via the telephone with information about the incident and possibly instructions for action to be taken. To receive CodeRED® calls, you will need to register your home or business phone number in the CodeRED® database, especially if you have an unlisted phone number, have changed your phone number or address within the last year, or you use a cellular phone as your home phone. Click Here to Register! ARE YOU IN THE DATABASE? CodeRED® is a geographical based system where street addresses are needed to select the telephone numbers that will receive emergency notification calls. 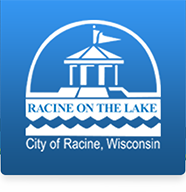 Public databases have been used to collect telephone numbers for existing Racine County homes and businesses and have been placed into the CodeRED® database. However, sometimes the public databases contain outdated information, thus no one should automatically assume his or her telephone number is included. All individuals and businesses should register, especially if you have an unlisted phone number, have changed your phone number or address within the last year, or you use a cellular phone as your home phone or if you would like email and txt alerts. The following numbers will display when you receive an emergency notification. We encourage all cell phone users to save these numbers in their phones for quick recognition of these important warnings at time of delivery. You may call these numbers back and receive the last warning message if you miss the call although a message should be left for you on your answering machine or voicemail. Alternate phone number, (Such as a mobile phone, can also be entered and both the primary and alternate line will be contacted in the event of an emergency. The system works with cellular phones but requires a valid street address. When entering information, please fill out all of the screens because the newest data entered will replace the old data. For those who are hearing impaired the Internet update offers a TDD ONLY option for tone delivery of emergency messages. Messages delivered to phone numbers marked TDD will only be delivered in a TDD/TTY format. Residents without Internet access may visit any of the public libraries or community centers within the county to use a computer. CodeRED® WEATHER WARNING A BONUS FEATURE Racine county Residents can also sign up for CodeRED® Weather Warning while signing up for CodeRED®. The CodeRED® Weather Warning will automatically call citizens when severe weather (tornado, flash flood, and severe thunderstorm) warnings are issued by the National Weather Service for your address. The CodeRED® Weather Warning System calls only when warnings are issued and only if your address is in the path of the storm.